Our Hab is Better Than Nothing! Shirts - Initial order SOLD OUT.. but contact us for info on how to get more...working on 2015 edition! 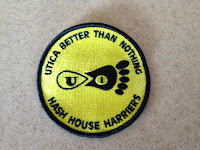 Contact uticabtnh3@gmail.com for order requests.